Whew…. what a few weeks. I guess you can tell by the extreme lack of blogs that I have been swamped. Crazy times… but great times. Its been 10 weeks and we are still going strong. There are times of happiness, times of extreme exhaustion… times of tension…. times of irritation… times of frustration…. but even through it all our spirits remain very high here at “Club Doppenberg” as Tim so affectionately called it. Sure we all get on each others nerves especially when fatigue is running high but overall its great times… communal living is like that. I am so behind on blogging that I am trying to figure out a place to begin… there is so much to tell…. I know today I could definitely write a huge blog… maybe I will…. so um, settle in haha. When I last left you Marquito had just arrived home. What a whirlwind couple of weeks its been since. 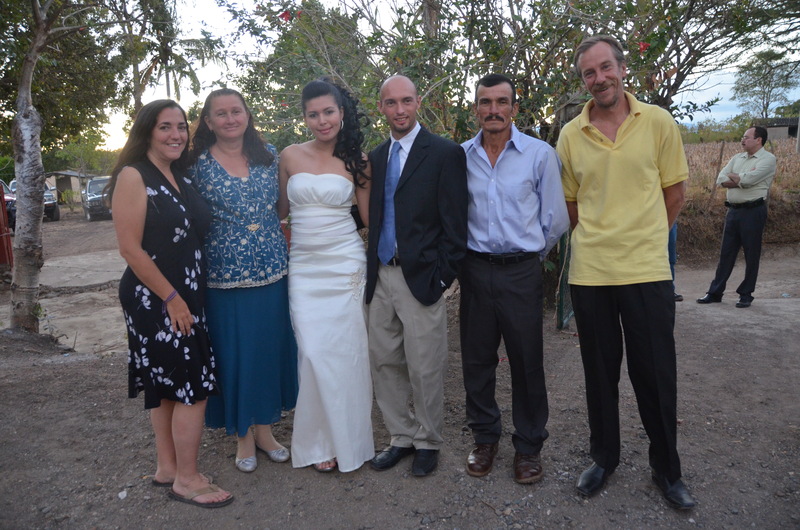 So much has happened… especially in the lives of Marquito and his parents Marco & Doris and their 2 young daughters. Marquito has pretty much completely recovered from the surgery. 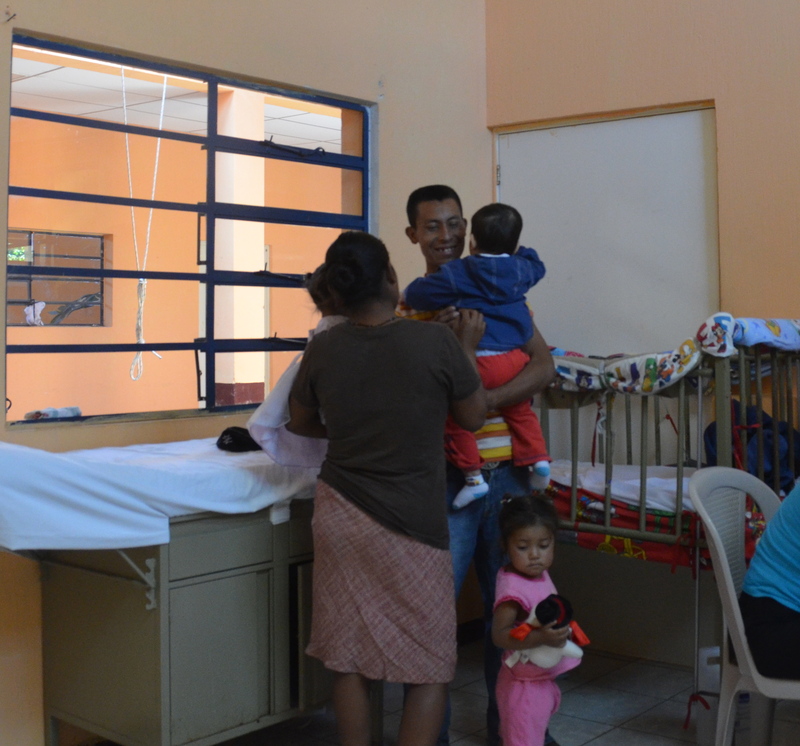 We visit him and the other kids at the ‘hospitalito’ (little hospital as it is know in El Progreso) every day and we like to think that based on the reception we get, the kids look forward to our visits. It has become clear that Marquito has a very special love for Geoff. It is quite beautiful to see. No matter who is holding or playing with him, at the mere mention of the name “Geoff” or the sound of his voice, Marquito stops whatever he is doing and just listens intensely. Within seconds he begins smiling and bouncing… he knows what is to come. A while ago, all Geoff could do was hold him and give him rides, but now that the surgery is completed on the exterior of his cleft palate, the world has opened up so much more for him. 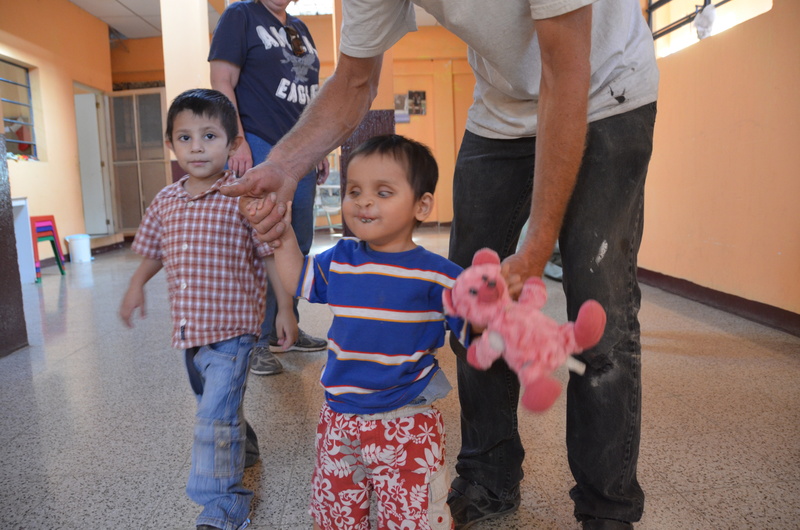 He is finally, at the age of 3, (almost 4…he will be 4 on April 8th) he is allowed to learn to walk. Up until now, he was never allowed because he is also blind and if he had fallen and damaged that tiny bit of nasal bone he had left, the surgeons would not have been able to work the miracle surgery they did. So walking, or anything that could put him and that nasal bone in jeopardy was strictly off limits. One of Geoff’s favorite things to do now is to walk the hospital with Marquito… over and over again. He never seems to ever get tired, Marquito that is… he is like the energizer bunny… he goes and goes. Geoff is worn out long before Marquito ever wants to stop…. What an amazing young boy… and he captures the hearts of anyone who comes here and meets him. All the other kids there are so precious too… We were joined last week by little precious Lade (prounounced Lady)… she is a year and a half old and is the size of a preemie… so malnourished she needs the constant use of a light to provide heat because her tiny body cannot regulate temperature… so sad and yet so hopeful because if little Lade was not in the hospitalito with these amazing Hermana’s she would most certainly be dead. And that is no understatement. At least with them, she has love and a fighting chance at life. 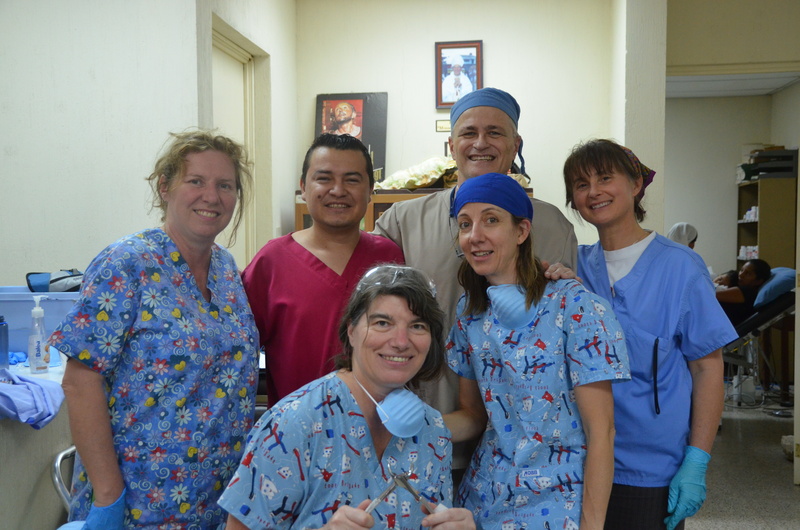 This past week we were joined by a dentist from Hamilton, Dr Laszlo Szoke and his team. Rita a dental hygienist, Debbie, Dr Laszlo’s assistant and Ursula an administrator from St Peters in Hamilton that served as another assistant. They were joined a couple days after arrival by the Doctor’s wife Sophia and her friend Katherine. Together they put together a dental team of epic proportions. Just for clarity though, I want you to imagine a single dentist…. just one…. with a single hygienist… just one… working their way through 186 patients, 170 cleanings, 343 extractions and 295 fillings in 5 days…. Perhaps that looks a bit more do-able written down than it is do-able in real life, especially if you are not a dentist…. trust me when I say, God was with them… because without God giving them the strength and fortitude to carry on I think they would have dropped on the floor from sheer exhaustion…. But I digress…. One of my jobs this week was to assist the dental team along with Matt and Zack. So I looked in mouths trying to do a bit of makeshift triage…. I learned dental tools and did my best to muddle through getting what the doctor needed when he needed it (yay CH… haha). Mostly though I did what comes naturally to me… what God built me to do… I “mothered”… Patients this week ranged from 3- 77 years old… I held scared children… I held hundreds of hands…. I held wet cloths on the warm foreheads of the elderly… I fed applesauce to those that came in hungry and felt ill after dental work. I learned a great deal about myself this week…. I learned that if I had it to do over I would become a nurse of sorts. I never thought I had it in me…. 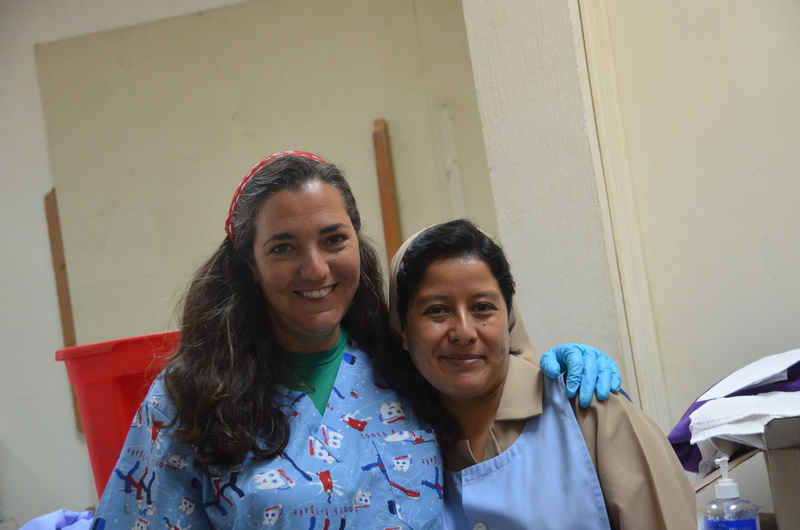 but God used this dental team to not only help the poor Mayans… but to teach me something about me. I was tired…. bone weary fatigued…. but the entire experience was something I would do over again in a heartbeat. I have to say…. We became a family with those wonderful people who gave of their time, their money and their energy to come here and serve alongside us… and I will be forever grateful to Laszlo, Sophia, Rita, Debbie, Ursula and Katharine…. You all are in our hearts and in our prayers… and we will see you when we get back to Canada and look forward to lifelong friendships! And I would like this opportunity to give you all the award for “the best suitcase packing I have ever seen” Way to Go!! haha.. In all seriousness…. Te Quiero Mucho a Todos!!…. I have to also say on behalf of all of us serving here… thank you very much to Kindness in Action for the loan of the dental equipment for the week… and to Dr Luis…aka Dr Taz…. thank you… you gave of your time to help the Canadian’s when you could.. you did a good thing for your people here. God bless you all. During the chaos that was the dental clinic, I got a gift from my husband… a priceless gift… one that I will never forget… one that I will be hard pressed to repay. I was helping an elderly patient off the dental chair and into a makeshift lawn chair recovery corner we had when Geoff came in and called me outside. There, waiting for me, was Marco & Doris and their 2 young daughters…. Geoff went up the mountain, got them and brought them down so they could see their son Marquito for the first time since the surgery…. Tears filled my eyes as soon as I saw them. I could never imagine not being able to see my children whenever I want…. especially if they were in the hospital. But that is the sad reality here…. if your child is in the hospital you will be lucky to ever see them. Simply put, they do not have the money to get to them. Sparing the few quetzals for bus fare is not an option…. the money simply isn’t there. Having the opportunity to get a ride down the mountain and a 30 min drive further was a huge blessing to them… and to me… because after more than a year I had the privilege of witnessing this reunion. They were tentative at first…. almost seemed afraid to go in. They have had 3 years to mourn their son…. they never believed their prayers would be answered….. they had only known to fear the worst…. Marco was first to his son… who stood in the crib jumping up and down waiting to be picked up when he heard his father’s voice. He pulled his boy out of his crib and placed his arms around his neck…. Doris was next…. I have a very short video clip of this moment…. but I shut my camera off and left the room…. Even through my tears I could see that this family deserved private time. I wept in Geoff’s arms for quite some time. Tears of pure joy… tears that were a long time in coming…. stored up for this day…. and what a day. After a bit I calmed down… I took a photo of the family together. Geoff and I then went to a small photo shop in town and got it blown up and framed as a gift for them. We drove them home after a few hours (and some dental work on Marco while he was there) and presented the gift in the truck. Doris held the photo the entire way…. they all stared at it… over and over… they couldn’t stop looking at their family…. together for the first time in over a year…. On the way home we had one more surprise for them. Before we even began construction on their new home we arranged for a water line to be run to the property. So they now have running water… but no sink. We overheard Marco telling Doris several times that someday he was going to get her a sink… it was her dream to have one. So, this day, on the way home we stopped at a small sink maker and let them pick out a sink. Doris & Marco were both so incredibly happy…. walking around picking out the sink of their choice…. but as Doris was walking around looking, she stopped and ran back to the truck. Neither Geoff nor I knew what she was doing…. she had gone back to get her family photo… she carried it around, clutched to her chest as she made the decision on what sink she wanted. Such a cute and priceless moment. Many other things are going on here…. Construction at the hospital continues… the addition is totally complete so the dorms, bathrooms and closets are finished…. a new kitchen is almost done… 2 new pantries are finished and waiting to be filled…. 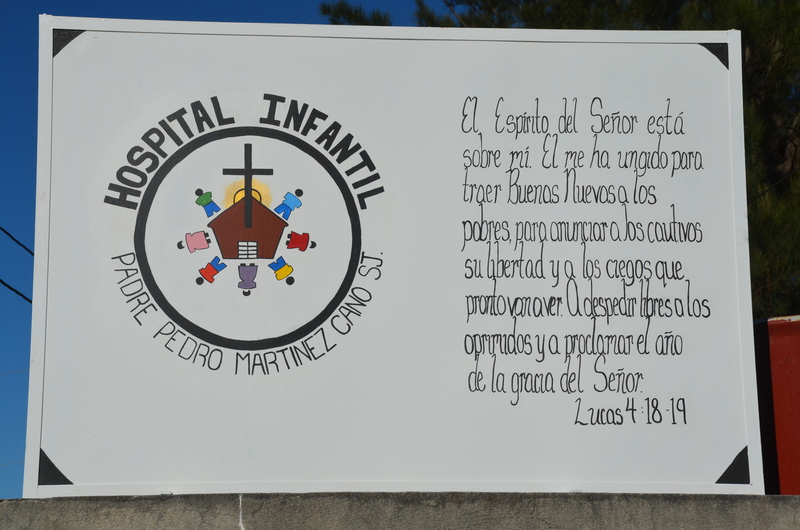 Vanessa has painted a beautiful new sign & mural on the hospital wall…. english class continues when time allows… Marco’s home will be complete today…. we are gearing up for the next projects…. life is busy…. but life is amazing. One other thing I have to tell…. 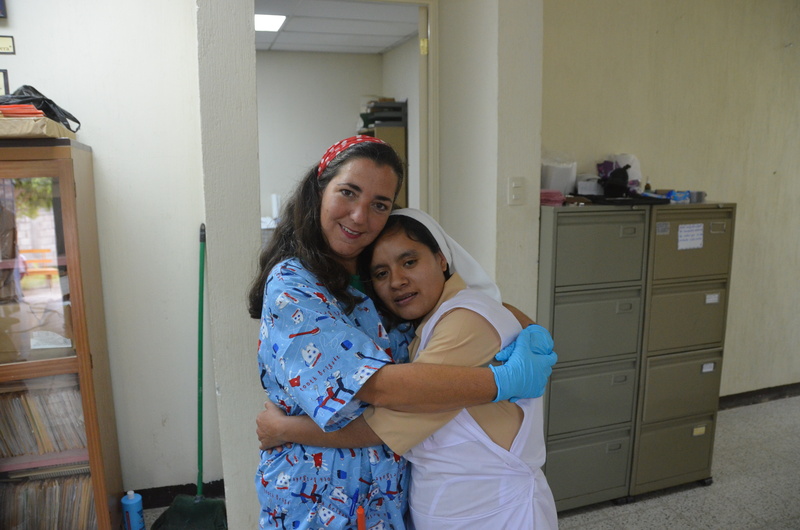 Yesenia.. she is a sweet Novitiate here… she calls me Mother Rita… I love her so much. 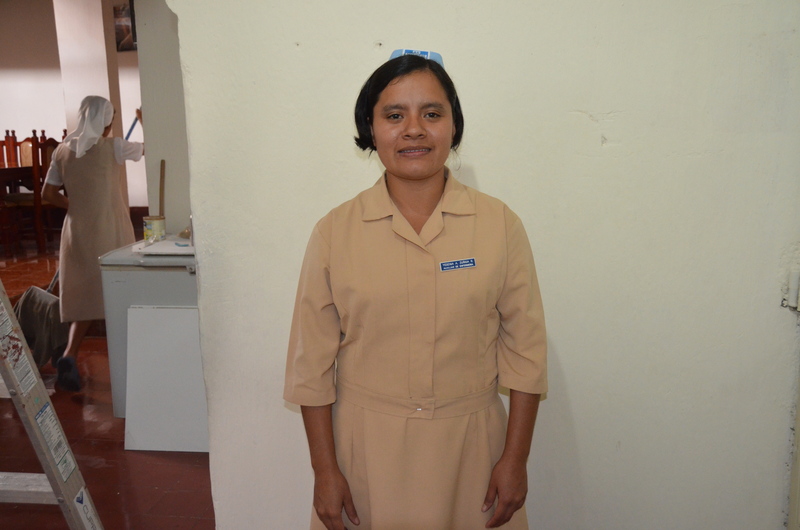 Some of the money we send here every month pays for education and Yesenia came to me a few weeks ago while I was painting a pantry and gave me a hug… she was wearing her new nurse hat and name badge… she graduated from nursing school that morning…. and she said a heartfelt ‘gracias’ and through the hug a heartfelt, ‘te quiero mucho madre Rita’ (I love you very much mother Rita)…. Oh the tears I shed here…. let me tell you…. The Hermana’s have become our family…. we spend so much time together now and all of it is filled with love… with laughter… with hope. They have put on major ‘goodbye’ parties for both Geoff’s parents and the Dental team…. We are all now such a tight family unit that even the slight language barrier that was once a source of frustration is now a source of intense laughter. God Bless Google Translate for those tough words haha…. Dr Laszlo said something during dinner here on his last night… that he ‘got’ way more than he ‘gave’…. such a true statement. I am getting so much more than I am giving here. People always say they don’t understand how I could ‘give up’ so much of my life. I have to tell you…. I am giving up nothing. I am only gaining. I am afraid… terrified actually of my return home to Canada. While I miss my family & friends ‘back home’…. I have built a ‘home’ filled with family and friends here. I think my heart will be torn in 2 in May when the time comes to leave this home and go home. Hermana Veronica sent me a beautiful email this morning, Valentines day. Here it is the Day of Friendship. I love these ladies with all of my heart and soul… and it will be very tough to leave them. Add into that equation… Fernando and his family. He got married this past weekend…. the first of 2 ceremonies. In Guatemala only the civil wedding is legal… so they have 2. One civil and one church. Geoff and I were asked to be Padrino’s for them… which is basically Godparent’s…. best man/matron of honour etc. It is one of the highest honours a Guatemalan can bestow upon someone to welcome them into a family. We are family…. Fernando, his new wife Elisa, his mother Vilma and his father Chico… they are our family… and it will be so hard to leave them as well….. Home is where the heart is…. I will literally have to split my heart in two in order to leave here…. – Eyeglasses… we will be collecting old eyeglasses to distribute with the help of an optometrist (see below)… people here don’t have much access to eye glasses or eye exams. An Optometrist to come on board, sort glasses and hopefully run an eye exam clinic here. Monthly partnerships so that the hospital’s monthly budget can be covered and the hospital can be used and run at full capacity… right now it is running at around 1/10th of what it can… the more money, the more kids, and the more lives that will be saved! Volunteers… I encourage you to begin planning to come here, see for yourself and experience all it is that we are doing. Its not too early to contact us about next year! Think about the above… pray about it…. talk to your friends… talk to your co-workers…. talk to your companies…. talk to your churches…. talk to your doctors… together we can spread the word and make things happen. Our job is to tell people…. its God’s job to touch hearts and spring people into action. We just finished a lovely visit with our CTEN pastor couple Stephen and Tammie. What an honour it was to have them stay with us and see our ministry first hand. I have to take a moment to thank them and CTEN for all they do for us here on the field. I cannot tell you what it means to have your love and support…. and even validation. I know that validation is not what Stephen and Tammie were here to do… but it is so amazing when people come and truly ‘get’ what we are doing here… why it has become our lives… why we will stop at nothing and fight for these people until our last dying breath…. And to you at home that send support, that comment, send emails, facebook messages etc of encouragement…. I cannot tell you how much it means for us to know that you are out there praying, thinking about and loving us from afar. Much love to all of you & God Bless! Dr Laszlo, Rita, Debbie, Ursula, Sophia (Katharine was ill that day) and Dr Luis who popped in to help when he could. 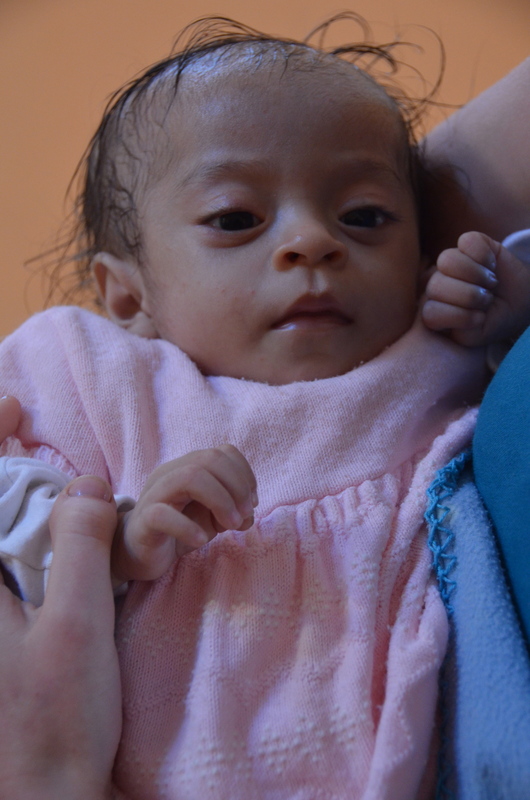 Posted on February 14, 2012, in Guatemala Missionary, Uncategorized and tagged celebrate life, Guatemala, Hope, Malnutrition, mission, Missionary, Volunteers, World Impact, Youth. Bookmark the permalink. 2 Comments. excellent commentary Rita, is the noblest heart that has love for his fellow man without expecting anything in return.